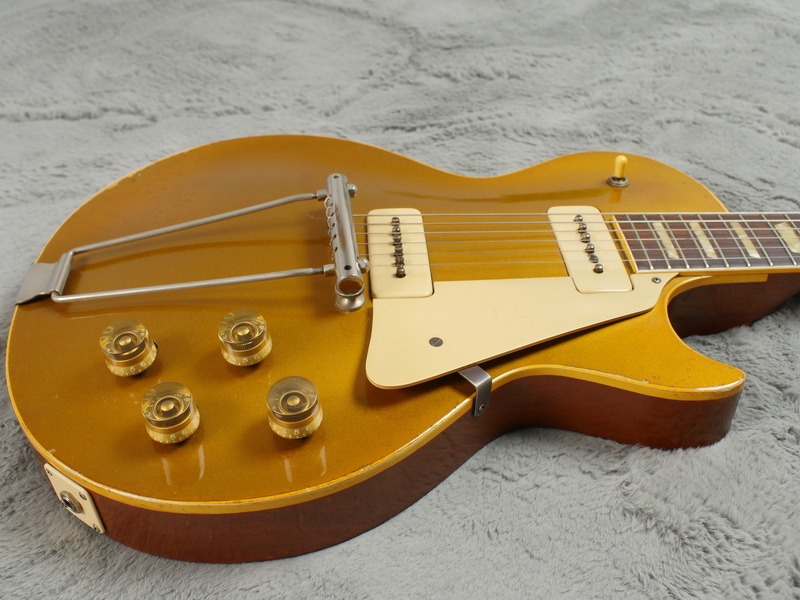 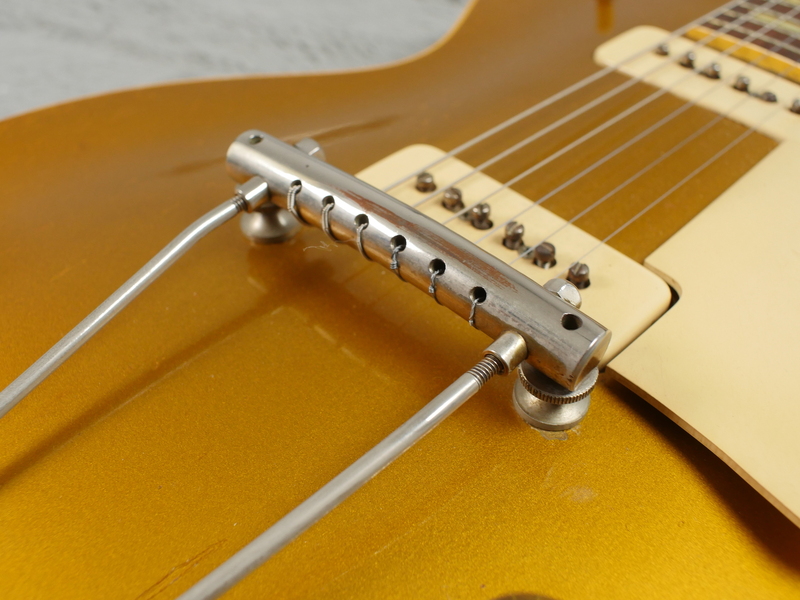 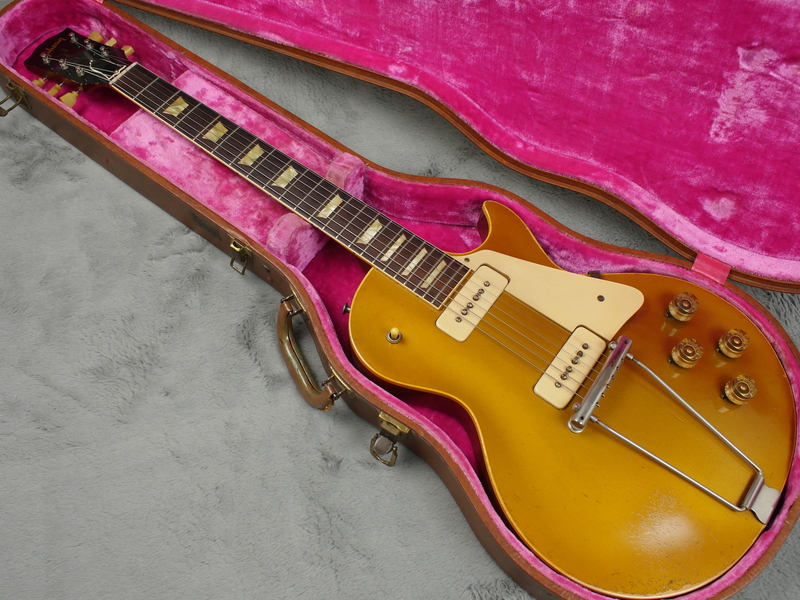 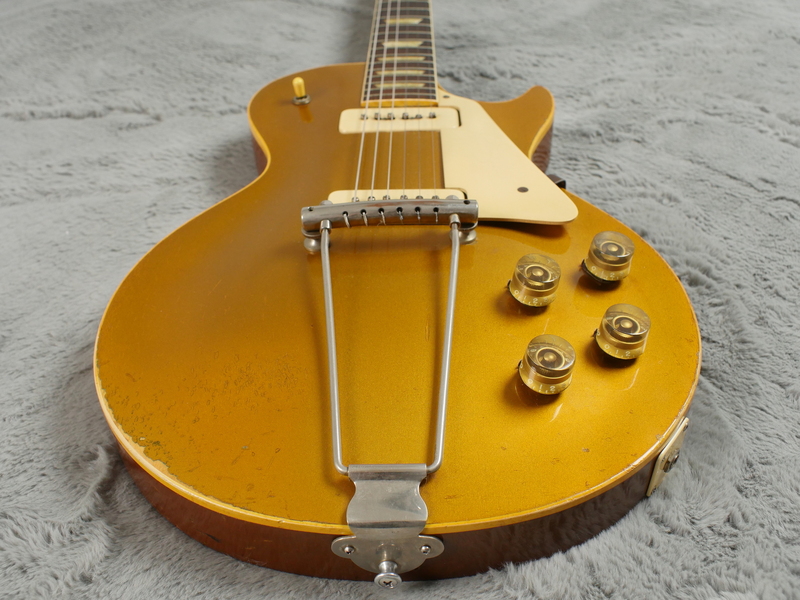 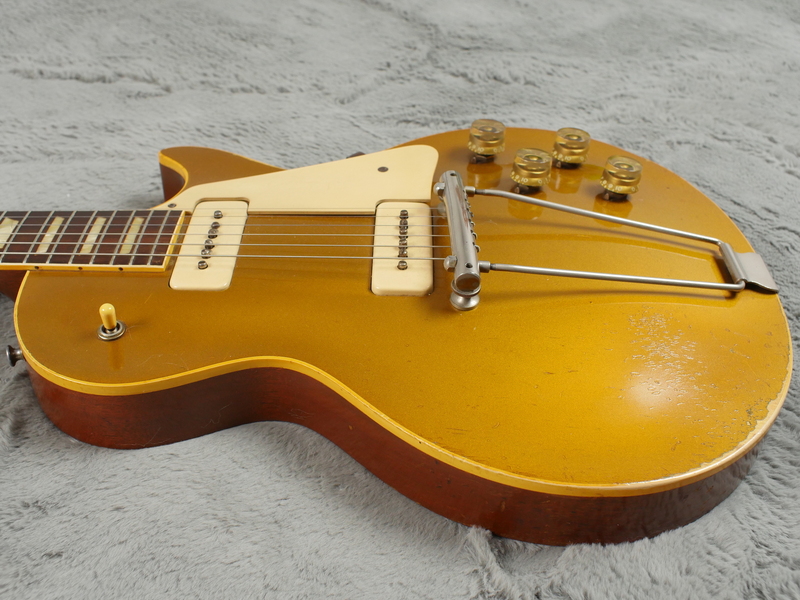 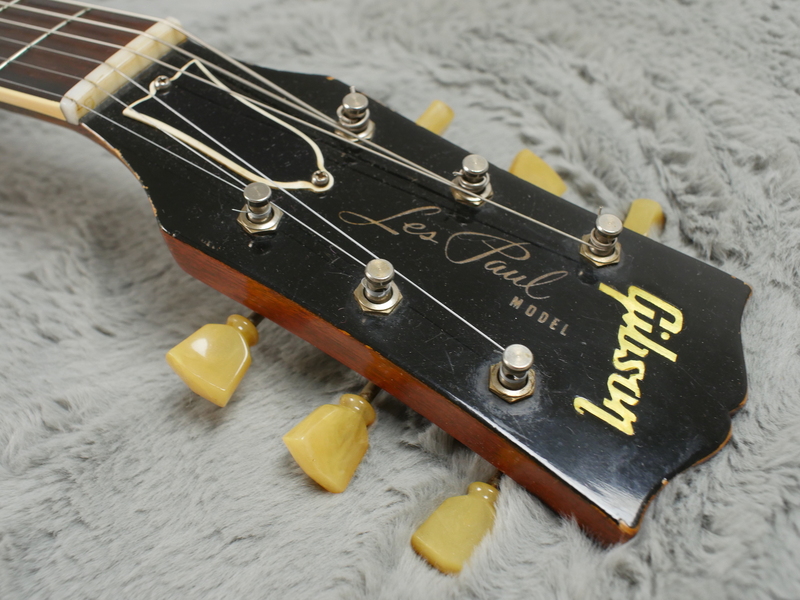 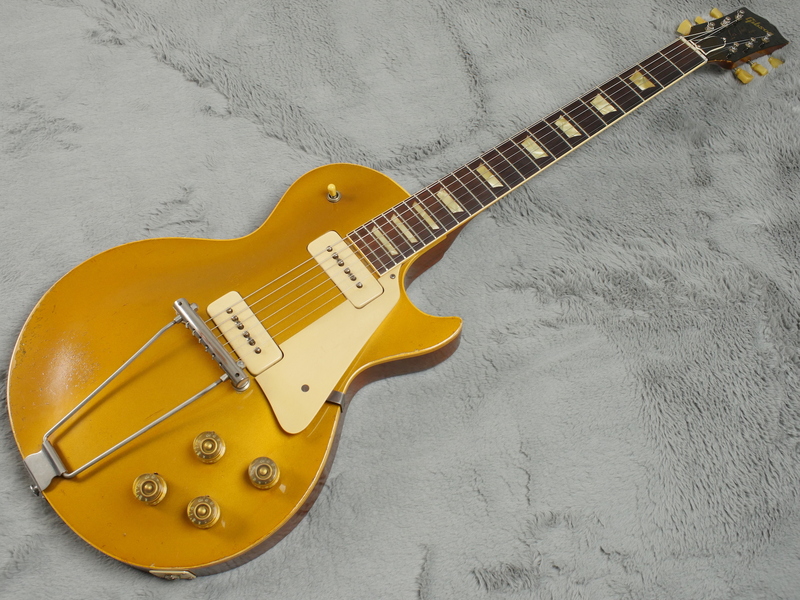 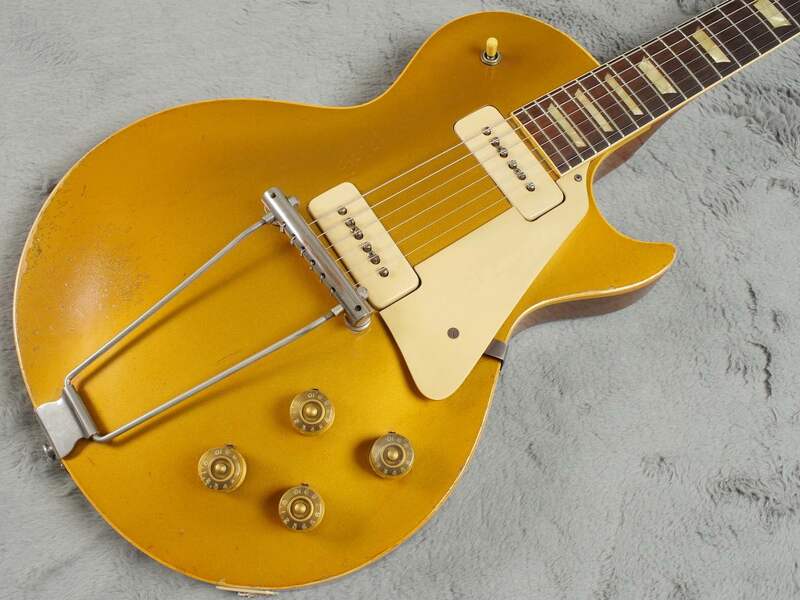 Here is a first year 1952 Gibson Les Paul Standard with trapeze tailpiece that does actually play real well..! 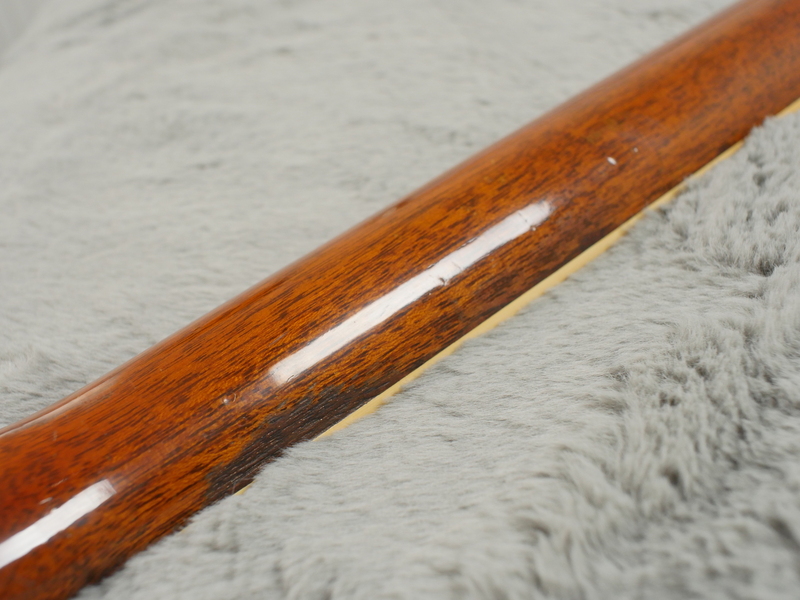 Original frets, original case and all correct hardware in very nice condition with some mild, player wear. 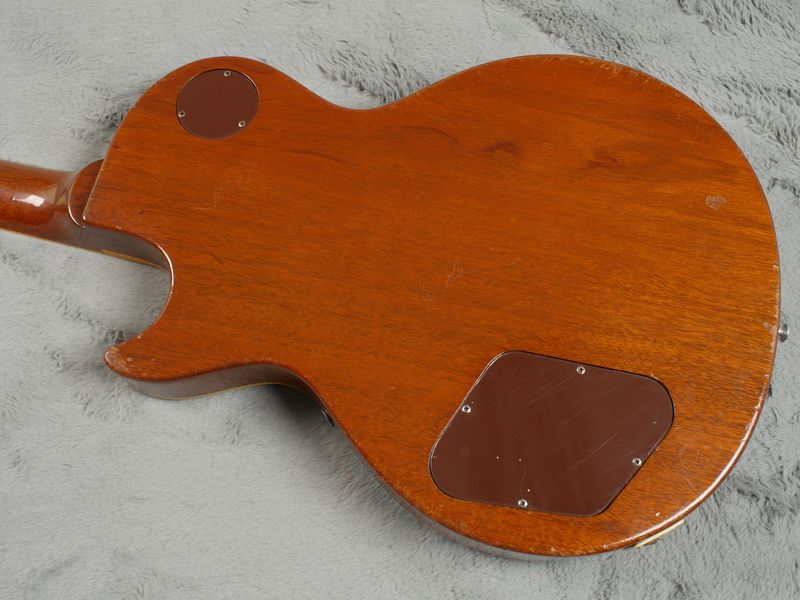 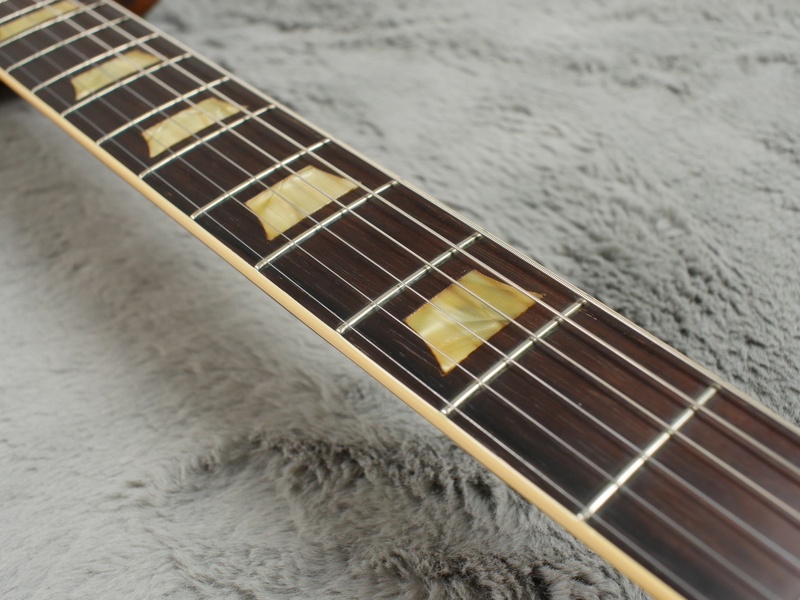 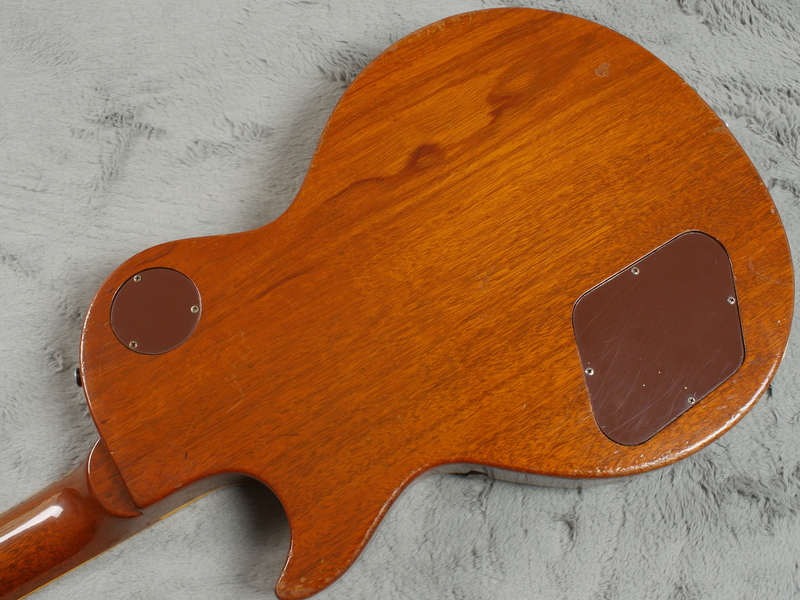 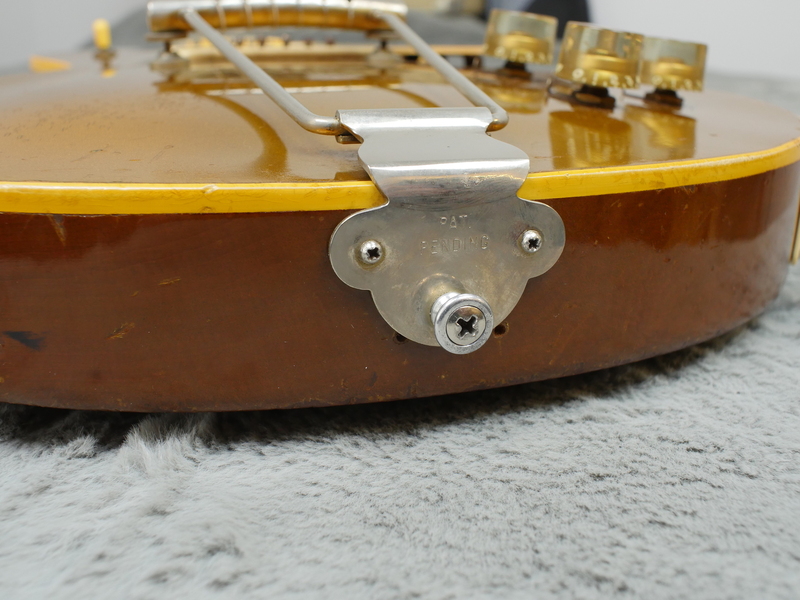 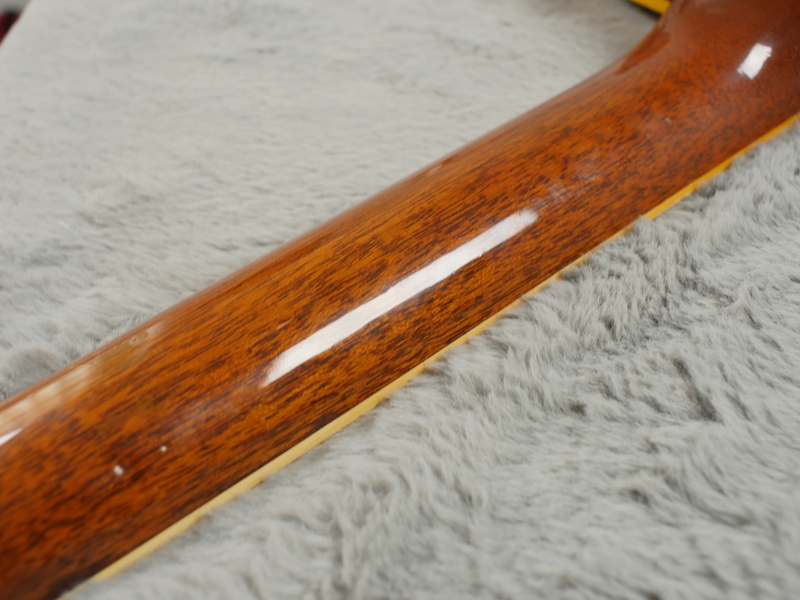 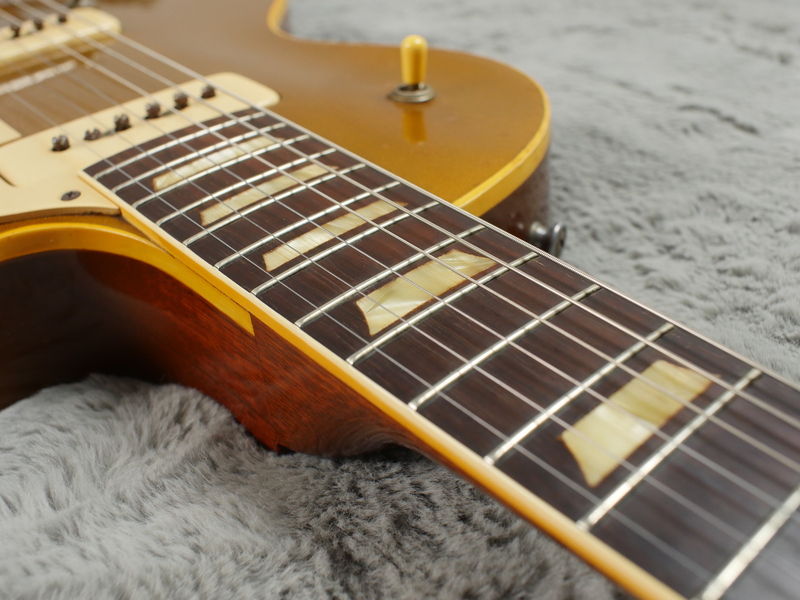 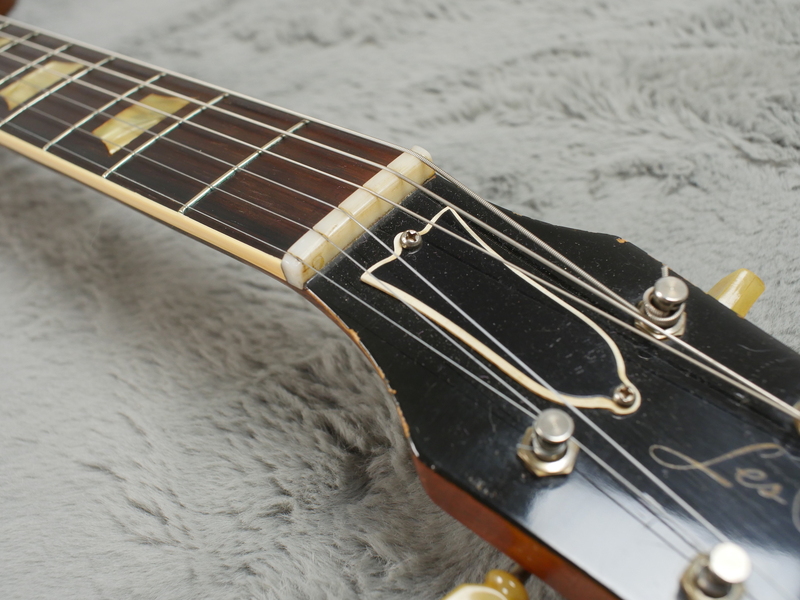 Very nice, excellent condition, 1952 Gibson Les Paul Standard with no real issues part from two extra screw holes by the strap button that was probably used to fix another kind of tailpiece some time ago. 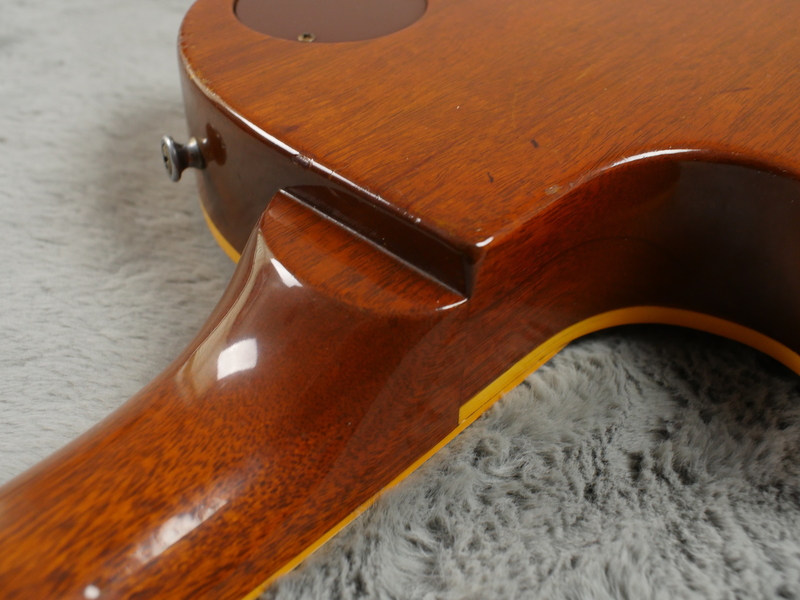 Thankfully, there are no holes on the top. 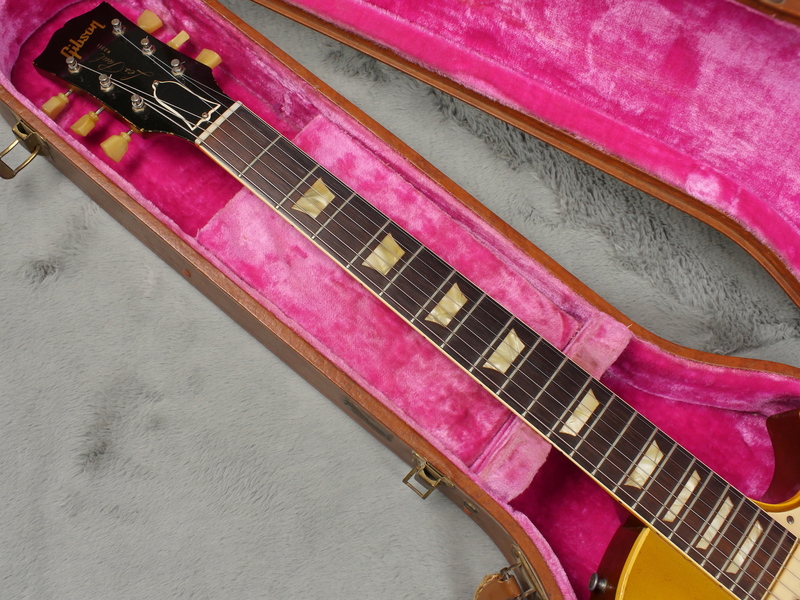 It has a very nice, all original, gold finish with just a few dings and some player wear here and there, including some forearm wear on the top. 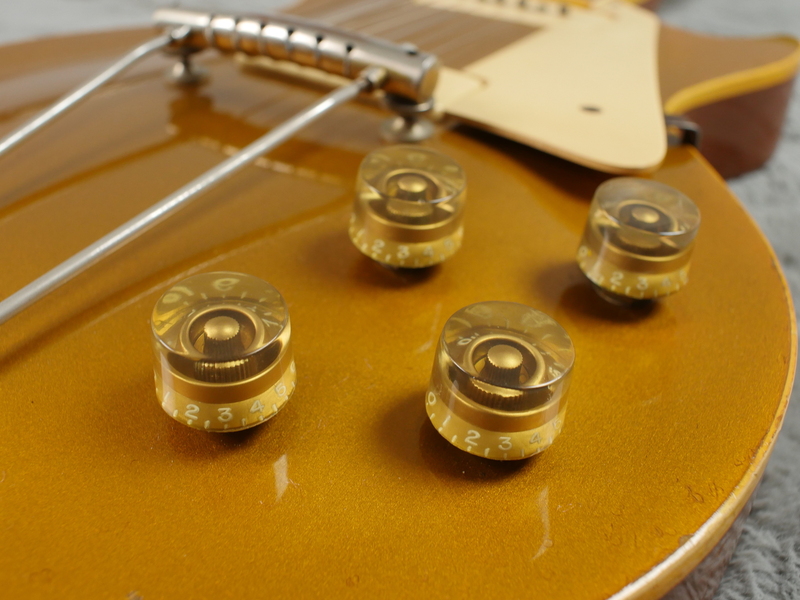 No breaks or repairs, no finish touch ups or overspray and all correct hardware. 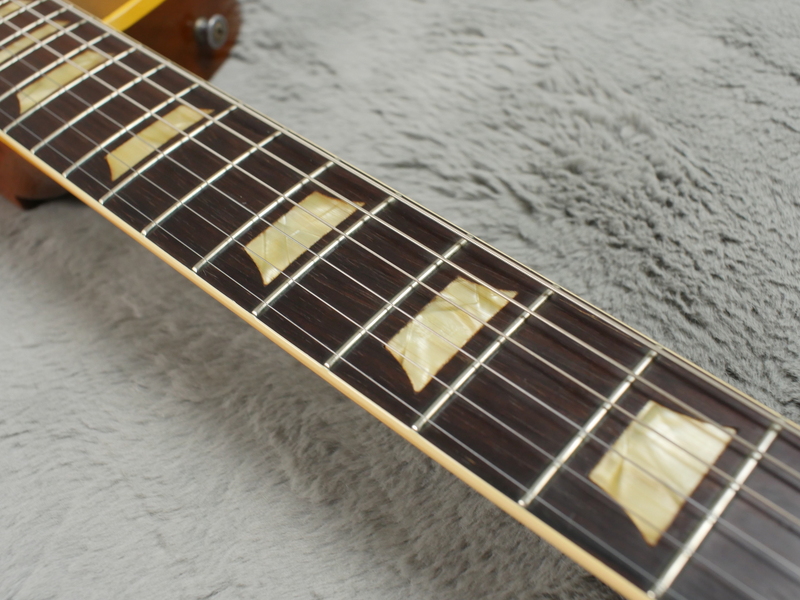 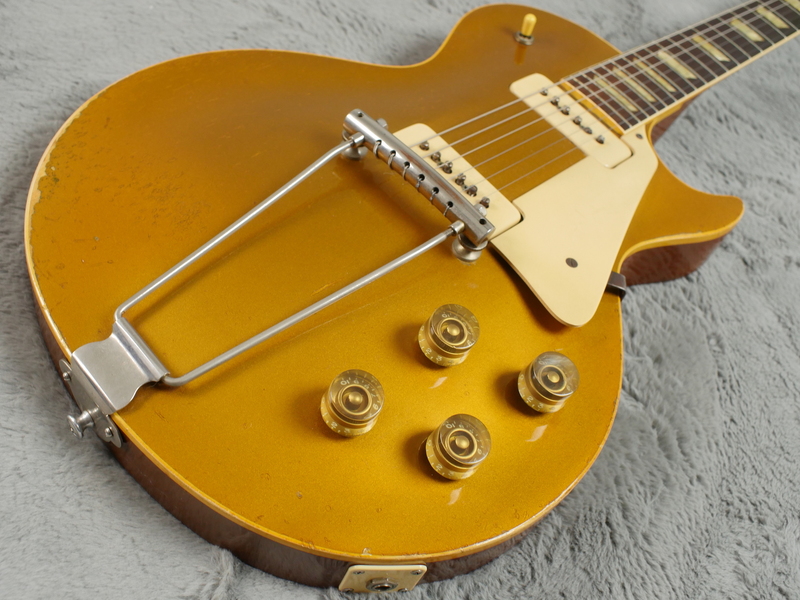 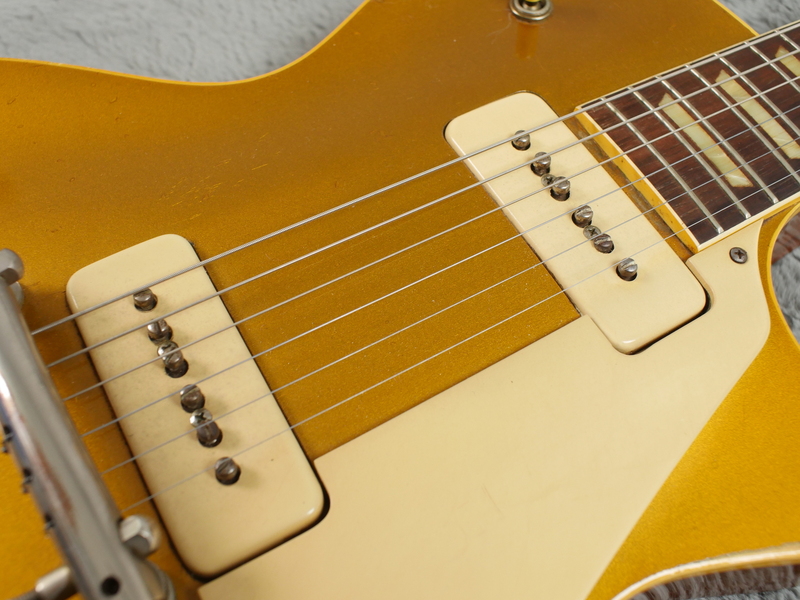 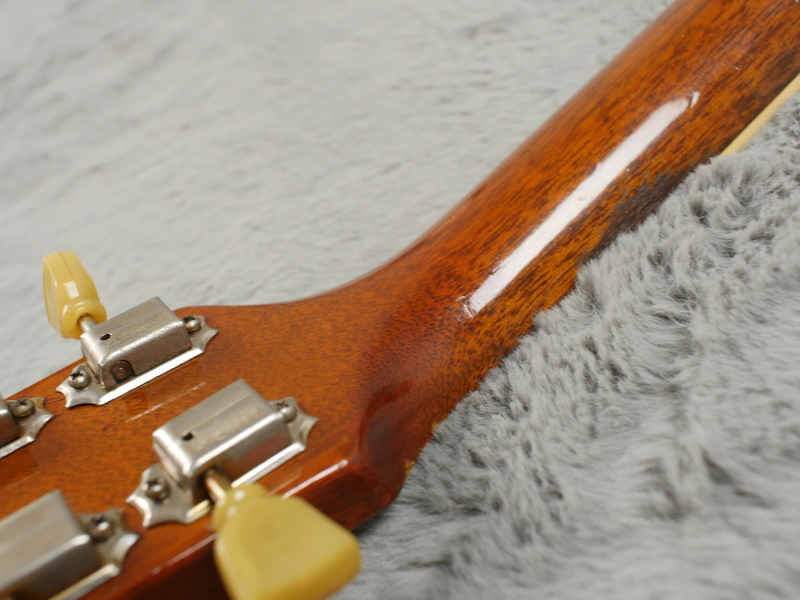 All original frets have a some decent life left to give and all original P-90’s are nicely balanced which is something you do not always get on these 50’s P-90 Goldtops. 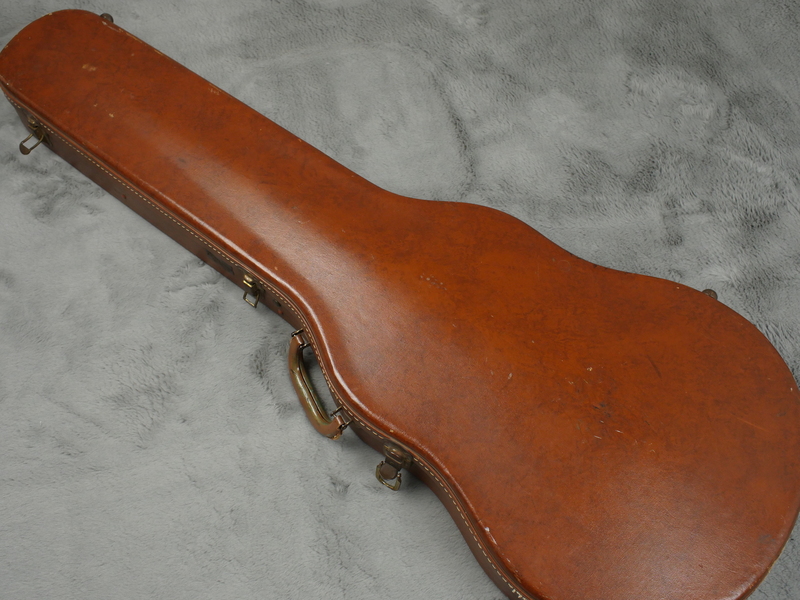 All correct brown / pink case is in nice shape and fits the guitar like a glove. 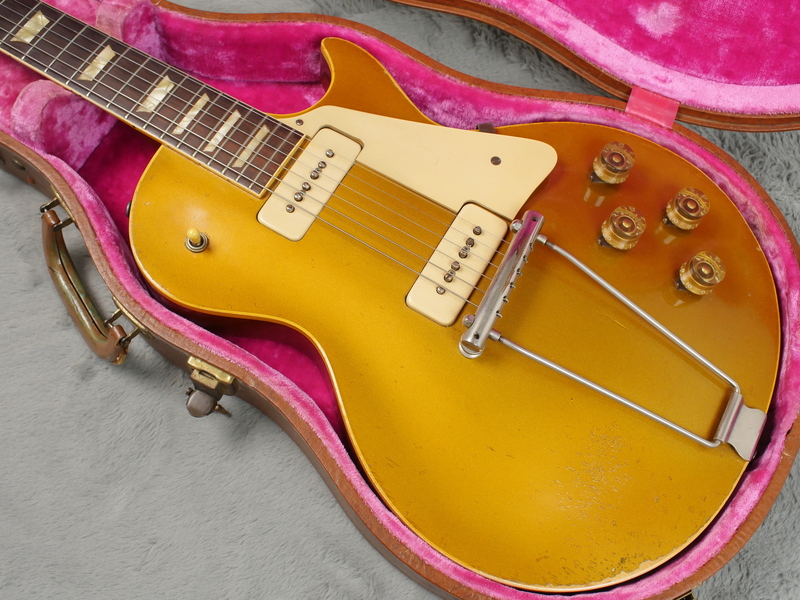 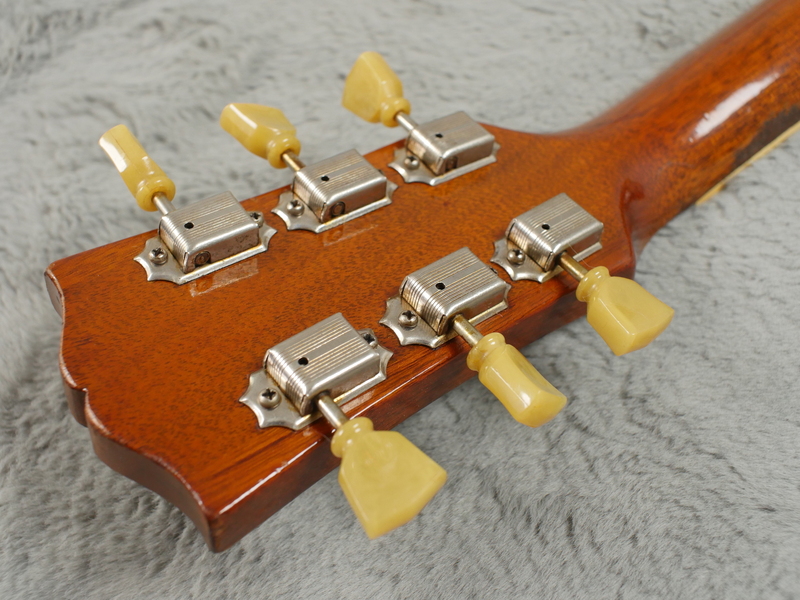 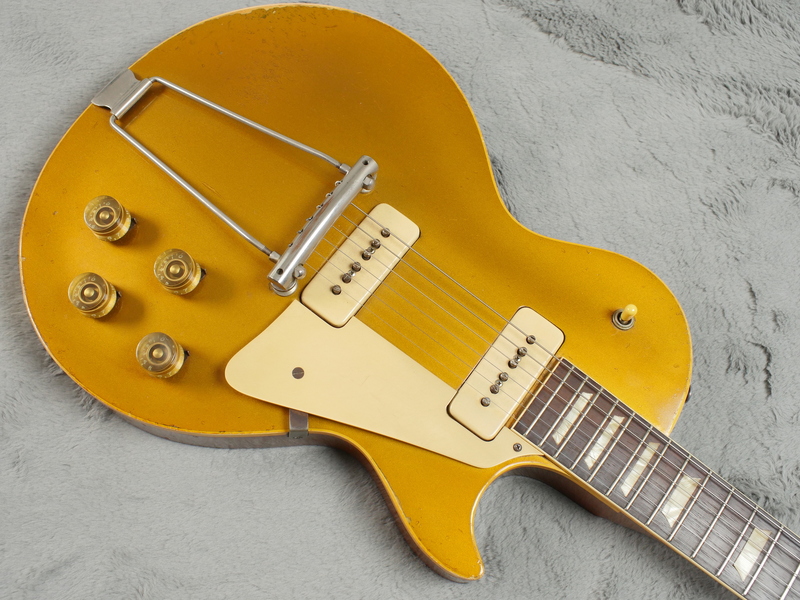 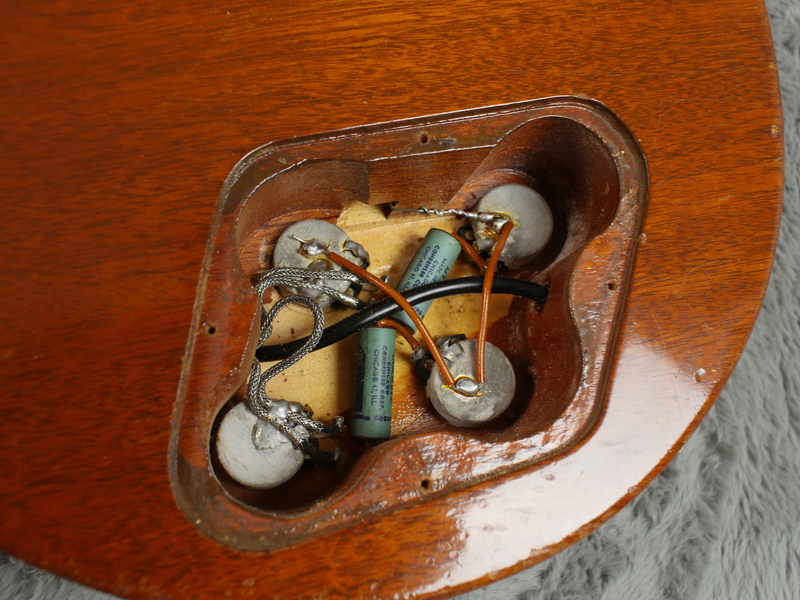 It is interesting to observe the evolution of these first year Goldtops… Like the last one we had a couple of weeks ago, this one does not have a serial number but it does have the tall knobs which must make it a fairly early 1952.